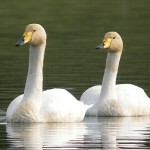 The Whooper Swan are birds who do not like to live in a single location. They rather migrate long distances. 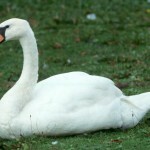 They are believed to be one of the most graceful ones belonging to the swan family. The name actually comes from the loud whooping sound it makes time and again. They are also popularly known as Elk. The wings of these species create some musical sound the moment they begin to fly. 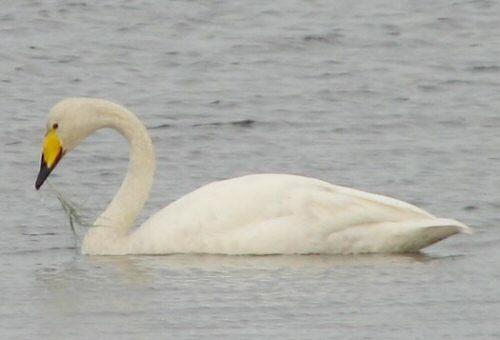 These swans can be spotted in the Irish Myths and Legends. One can locate these species in the regions of Northern Ireland, Scotland, Northern England, East Anglia, Russia and Wales. 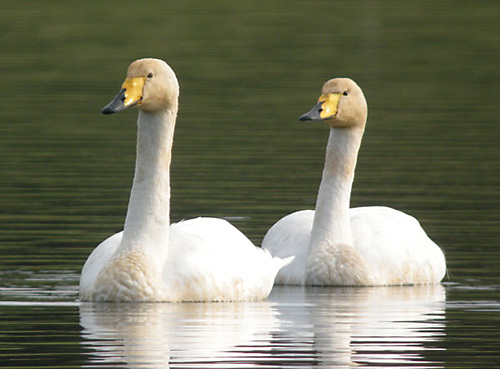 Weight of Whooper Swan: The weight of these species is found between 7.4 kgs to 14 kgs.The weight of the females range between 9.8-11 kgs while that of males vary within 8.2 to 9.2 kg. 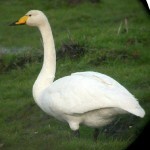 Color of Whooper Swan: These species are primarily white in color highlighted by a black colored beak dotted with yellow spots. The plumage of younger ones is grayish brown in color. Their beaks can vary between pink and black colors. The color of their eyes is dark brown. Wingspan of the Whooper Swan: The wingspan of these species varies from 205 to 235 cms. Shape of Whooper Swan: These species have broad & flattened beaks. The feathers are waterproof and feet are webbed. These species tend to swim a lot and typically with their neck straightened and upright. Their do not raise their wings but when they fly, they tend to form v formations. These swans are naturally herbivorous. They are actually social by nature except the mating season and tend to have only one mating partner. These species prefer to have grass, aquatic plants, sugar beet, grain & potatoes in their diet. One can spot these species in the freshwater ponds and wetlands. They are also commonly found in the coastal areas. In addition to this, they also inhabit the estuaries, farmland, flooded grasslands. In winters, they prefer to stay in the open areas of farmland. The above mentioned are the predators of the younger ones. 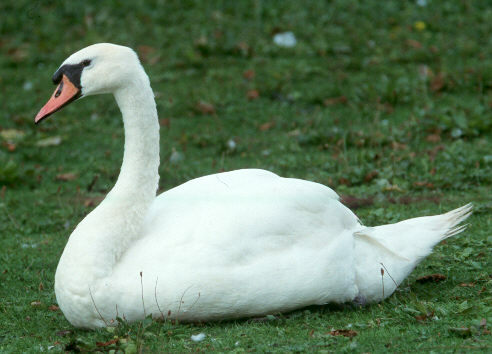 The matured swans have few predators because owing to their habitat. Their legs fail to support the body weight of these species and hence the juvenile ones inhabit mostly in water. The giant size of these species helps them to defend from enemies. These species tend to breed from the mid of May and like to mate in the wetland areas. These species mature sexually by 4 years of age. They tend to stay in pairs. The partners usually perform courtship with the males and females playing in the form of half opened wings. While mating these swans extend their neck coupled with a loud sound. Male counterparts actively build nests and tend to move about in groups. In the nesting period, the males fortify the territories. The period of pregnancy lasts for about 5 to 6 weeks and females lay 4 to 7 eggs. The elder ones tend to remain in nests for 30 days after mating. After birth, these species take about 120 days to attain maturity. They actually produce vocal sounds that resemble the sound of a car horn. Despite having a heavy body, these species tend to fly very peacefully and silently. These species can live for about 26 years. According to the reports of IUCN, they are within the category of less important.